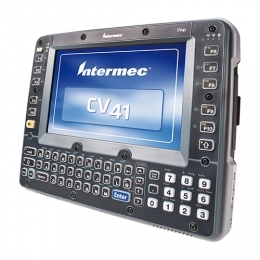 High user-friendliness, reliable performance and a robust design - that is what the CV41 vehicle computer from Honeywell offers you. It features an 8 touch display 20 cm, as well as a fully fledged keyboard and numerous programmable function keys. The front-panel may be easily and quickly exchanged on-site in case of a defect or when it is worn out. This saves users valuable time plus reduces downtimes to a minimum.